The Department of Mechanical Engineering at the University of Maryland consists of 47 dedicated tenured and tenure-track faculty; more than 30 research faculty, lecturers, and visiting faculty, and ten National Academy of Engineering (NAE) members, including Dr. C.D. Mote, Jr., the recent NAE President. 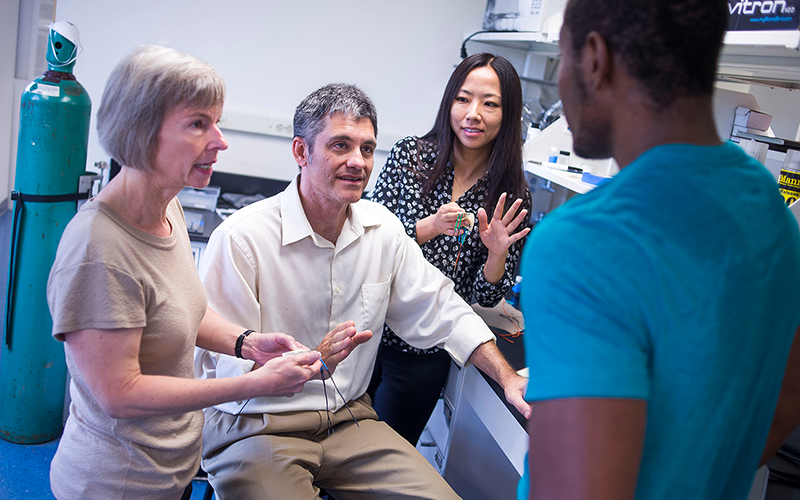 Faculty members Elisabeth Smela, Hugh Bruck, and Miao Yu with students in the Laboratory for Microtechnologies.